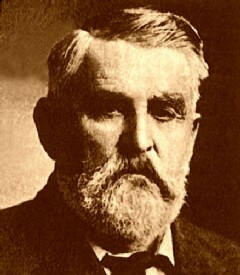 The invention of the American chuck wagon is credited to cattleman Charles Goodnight. In 1866, Charles needed a way to keep his drovers fed as they trailed cattle from Texas to the North. A true product of "necessity breeds creativity", Goodnight bolted a wooden box to the back of an Army Studebaker wagon and added compartments to store utensils, bedding, food, and more. The rest, they say, is history. The term "chuck" is from 17th Century England used by meat merchants who referred to their lower priced goods. By the 18th Centry, "chuck" was colloquial for good, heart-warming food. So it is no suprise that Goodnight's invention became known as a "chuck wagon". His simple creativity revolutionized the cattle industry and is now celebrated as the official vehicle of Texas.